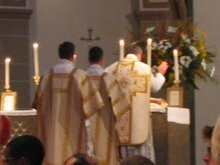 The Latin Mass Society RC Diocese of Middlesbrough: Is This Why We are Short of Priests? The recent revelations about abusing clergy in the United States are immensely disturbing. What makes matters worse is the emergence of similar stories in Germany, Australia, South America and elsewhere. A common thread to all these stories is that many of the depraved acts took place in seminaries often by superiors of the seminary. If this behaviour is as widespread as it seems to be in several countries, one would expect most decent seminarians attending such a depraved institution would soon leave, and probably not continue their priestly vocation. This could well be an explanation of why so many seminaries have had to close, and indeed for the diminishing number of ordinations in recent decades. One wonders how many young men have been put off pursuing a priestly vocation specifically because of experiencing depraved activities at their seminary. Most of us, who are disgusted and depressed after reading the recent revelations, would probably think that such behaviour does not go on in this country. We tend to think that all the priests that we know, or have ever met, are fine men who would never indulge in such bad behaviour. However, anyone who reads the newspapers also knows that unsuitable men have been ordained to the priesthood in the past, and it is likely that some of these are still around today. It also seems to be the case that a disproportionate number of these people find their way into positions in seminaries. This prompts the question: Have any of the seminaries serving England and Wales been infiltrated by such undesirables? Of course we all hope that the answer is no, but we should allow for the possibility that there are some. 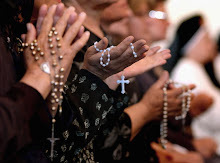 The likelihood is that such infiltration has occurred in the past and this could be a reason for the current shortage of priests.